BRYAN EATON/Staff Photo. 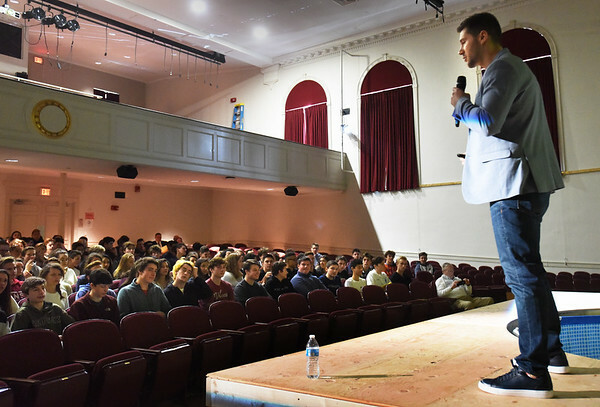 Newburyport High School hosted a Future Direction Expo for the sophomore class to educate them on paths they may be interested in. There were different panelists for business, technology, communications, including featured speaker Matthew Mottola, who graduated there in 2011 and who now works for Microsoft and created a freelance toolkit.